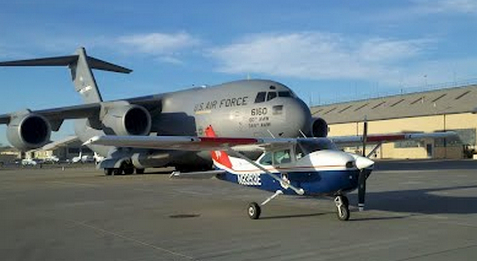 Too much power in the hands of too few people is a chief complaint the Air Force has about the Civil Air Patrol, its volunteer auxiliary. But it’s also a complaint among many within the patrol, according to an Aug 1 report by the Civil Air Patrol Membership Representation Committee. The committee is recommending that the existing National Board be stripped of much of its power, that the Air Force’s role in the organization be increased and that the patrol’s volunteers be able to elect some members to the national board. Also, the committee wants the Air Force to have some oversight, but not control. The ad hoc committee was formed in March at the invitation of the patrol’s National Legal Officer with the approval of patrol Brig Gen James C. Bobick. James Wolffe, special assistant to Air Force Secretary F. Whitten Peters, said the committee’s recommendations have merit. “It’s not what our draft proposes, but it has some interesting ideas,” Wolffe said. He said the Air Force has no problem with volunteer members having more say in how the patrol is run. The committee recommends establishing direct election of some National Officers by the patrol membership. The committee also calls for either implementing Wing Commander elections as current terms expire, or selecting some Wings in different parts of the country for trial elections. Such a system would restore some distance between the national authority and the Wings and also prove more popular among the Wing membership because they would have a say in the process, according to the committee. Under the existing system, the National Commander, National Vice Commander and other National Officers are elected, or confirmed, by the National Board. Meanwhile, these same National Officers have the authority to review certain actions of the board, such as disciplinary actions against Wing members, according to the report. That means the board and executive officers are dependent on each other for both appointment and support and that makes for conflicts of interest, the committee and other critics maintain. The method of selecting state and national leaders has to change, the committee concluded. Now, Regional Commanders appoint wing commanders with the concurrence of the National Commander. But the Regional Commanders rely on the support of Wing Commanders, who make up the majority of the National Board. “This creates a ‘closed-loop’ leadership selection system, which tends to concentrate power among a few individuals without effective influence or oversight by either our sponsoring federal agency [the Air Force] or the general membership,” according to the report. The Air Force has been trying to regain some control over the patrol since a 1996 audit raised questions of financial, management and safety problems within the organization. The Air Force has been trying to gain greater control over the patrol since then. In July, FBI agents and Air Force investigators began seizing records and computer disks from a number of patrol offices, including the national headquarters at Maxwell Air Force Base, AL. The investigation is part of a Justice Department probe into misuse of appropriated funds. Air Force and patrol leaders have offered reorganization plans, including setting up an 11-member governing board. But both the Air Force and the patrol membership committee claim the patrol’s plan would continue to give the national board too much power. Be the first to comment on "Chief Complaint: Too Much Power in CAP"